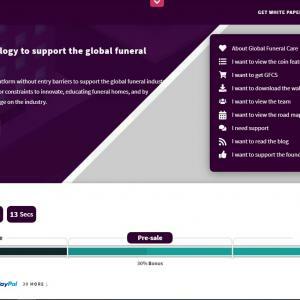 The first globally sourced decentralized platform without entry barriers to support the global funeral industry, by increasing transparency, removing major constraints to innovate, educating funeral homes, and by collecting and sharing worldwide knowledge on the industry. Everyone should have the opportunity to invest in the safest way possible. Especially in an uncertain market like crypto-market. 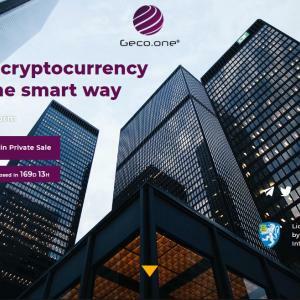 At Geco.one we understand that key to successful cryptocurrency trading is having full control over your assets.PAMM account, allows you to invest in cryptocurrency pairs by entrusting your resources to experienced traders as well as providing you with all the tools necessary to become a crypto-trader yourself. TerraGreen Coin is a unique blockchain-powered attempt at micromanaging biomass wastes from agricultural and forestry sectors and efficiently converting them into renewable energy products. These products, at the end of the process, will be of higher economic value. 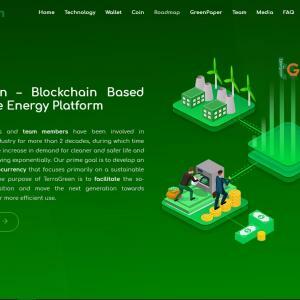 With TerraGreen Coin, consumers can directly participate in the biomass waste management and production of renewable energy products, which in return support the green energy revolution. 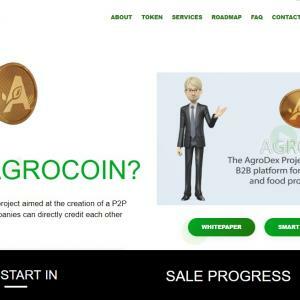 AGROCOIN is a crypto coin that will become the means and guarantor of payment between users. This is a token that will become a tool for the agro-industrial market, and with the help of which users of the agro-exchange platform will be able to conduct their transactions on the purchase and sale of goods in the agricultural sector. Token AGROCOIN supports smart contract technology and was created to develop trust and positive reputation of a credit platform on the Ethereum ecosystem. AGROCOIN aims to conduct the fastest, most transparent and secure transactions. The team believes that partnership with financial services will help to make burden free exchange of crypto-to-fiat currency. COINWARE's first priority is to establish a secure, effective and transparent trading platform for traders. COINWARE will also develop state-of-the-art security and highly protected wallet, named COINWARE Pocket, based on the blockchain technology. This will enable traders to store any cryptocurrency in the market. 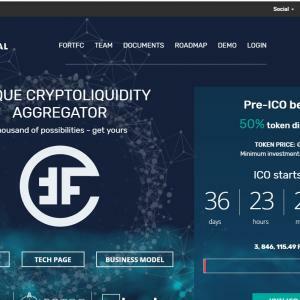 FortFC is a liquidity provider on the cryptocurrency market that aggregates buy and sell orders simultaneously from a pool of the most popular world exchanges and accumulates the necessary liquidity volume at the right time specifically for its customers. The unique set of services includes online Deposit/Withdraw/Exchange of various cryptocurrencies for another cryptocurrency or converting crypto into fiat currencies with the most favorable rates on the market.